Terrorists shoot down an airliner, turning a vacation into a battle of life and death. Vengeance is sought for a butchered friend and the truth about the stunning African woman who becomes a lover and protector. During the Rhodesian liberation war, Philadelphian Jake Fallon’s vacation explodes when a commercial aircraft is shot down and his friend is butchered. Saved by, and falling for Sarah, a stunning African girl, he marries her and forces her into the world of his bigoted mother and sorrowful brother. Joining the liberation war, he seeks vengeance and the truth about the woman he loves and the baby they lost. 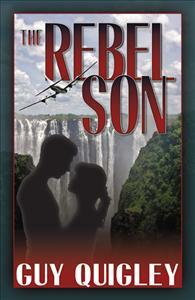 The Rebel Son is a story of love, vengeance and kindness, and of history and future. Through it all, Jake loses the man he once was – who cared little for anyone but himself – and becomes the friend, the husband, and the father he was meant to be.